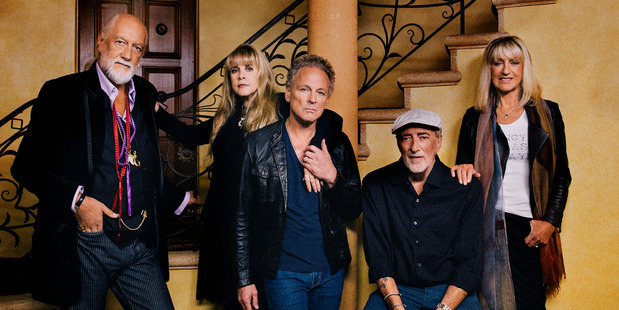 breakup drama more than any other six or seven bands combined, topped their own standards on Monday, with the announcement that they'd fired Lindsey Buckingham. This split is more than one of the year's strangest headlines – it's a new dysfunctional chapter for the fivesome who wrote the book on packing up and shacking up. This is the most quintessential Fleetwood Mac move they've ever made. Any band can explode a time or three, but only these guys could break up continuously for 40 years, putting each other through untold agonies and then always coming back together for more punishment. The Mac is dead; long live the Mac. If these were any other rock stars, you'd suspect them of staging a split so they can squeeze in one more tearful reunion tour before they hit their eighties – Coachella 2023, here they come. But if there's anything we know for sure about Fleetwood Mac, it's that they have no ability to control the torture they inflict on each other (or on us). They are the band destiny has doomed to suffer for our sins, acting out every couple's messiest secrets in public, reliving every stage of the pain cycle in a ritual repetition, like five Siddharthas of heartbreak. "Lightning strikes, maybe once, maybe twice"? They should be so lucky. Only these five gypsies could keep getting hit with the same lightning bolt over and over, electroshocking each other into eternity.